Fly Ash Powder by Emarc India. Supplier from India. Product Id 871459. Fly ash is a by-product of coal burning at the utility plants. As coal is burned, non-combustible mineral impurities in coal evaporate andcondense into tiny particles of glass, almost totally spherical inshape. The individual particles are very small, like talcum powderand are carried up and out of the boiler in the flow of exhaust gasesleaving the boiler after the coal is consumed. The fly ash particlesare removed from the exhaust stream in bag houses or electrostatic precipitators and then stored for later shipment The difference between fly ash and Portland cement becomes apparentunder a microscope. 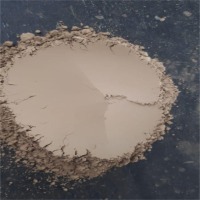 Fly ash particles are almost totally spherical inshape allowing them to flow and blend freely in mixture. Thatcapability is one of the properties making fly ash adesirable admixture of concrete. 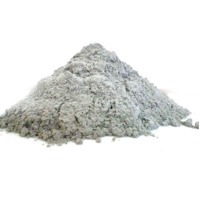 Features Of Fly Ash Fly ash, also known as flue-ash is a residue which is generated during combustion and consists of fine particles. There are impurities in coal which mostly consist of clays, limestone and dolomite particles. These turn up into ash as they cannot be completely burned. Fly ash is useful in a number of ways and is one of the most researched upon mineral source. 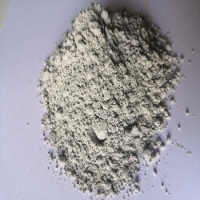 It is mainly a pozzolanic substance which contains aluminum and silicon material which in return due to the presence of water can take form of cement. A lot of research and development initiative have been taken place across the globe to build and develop technologies that can utilize the full potential of fly ash. Royal Mineral takes care to ensure flawless production stages. Search More Like "Fly Ash Powder"